Billy Gene Elswick 76 years of age of the Homecreek section of Grundy, VA went to be with the Lord on Thursday, December 27, 2018 in the Bristol Regional Medical Center, Bristol, TN. Born in Grundy, VA May 19, 1942 he was the son of the late John Smith Elswick and Edna McClanahan Elswick. 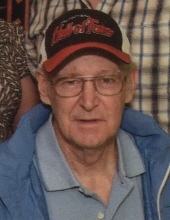 Billy was a member of the Homecreek Old Regular Baptist Church and was a retired heavy equipment operator. He enjoyed deer hunting, riding horses, and traveling especially to the beach. He was a avid football fan and played football for Grundy High School in 1958-1960; he was proud of his county and a true patriotic person that loved the American flag and everything the flag stood for. Loving husband, father and brother. In addition to his parents, he was also preceded in death by his son, Victor Elswick who passed away on November 4, 2018. He is survived by his loving wife of 53 years Naomi Lester Elswick of Grundy, VA; daughter Billie Jean Worton and husband Robert of Elm City, NC; sisters Mary Case of Grundy, VA, Nelline Hutchinson and husband James Robert of Grundy, VA, Rebecca Hutchinson of Grundy, VA; brothers Otis Elswick and wife Clara of Grundy, VA. He was also survived by several nieces and nephews. Funeral services for Billy Gene Elswick will be conducted Monday, December 31, 2018 at 12:00 noon at the Shortridge-Ramey Funeral Home Chapel, Grundy, VA with Old Regular Baptist Ministers officiating. Entombment will follow in the Mountain Valley Memorial Park, Big Rock, VA. Active pallbearers will be: Robert Worton, James Robert Hutchinson, Fayne Whited, Charley Beasley and Darwin Bailey. The family will receive friends at the Shortridge-Ramey Funeral Home, Grundy, VA after 6:00 p.m. Sunday where a evening service will be held at 7:00 p.m. The family of Billy Gene Elswick have entrusted the care of their loved one to Shortridge-Ramey Funeral Home of Grundy, VA.
Evening service will begin at 7:00 p.m.
"Email Address" would like to share the life celebration of Billy Gene Elswick. Click on the "link" to go to share a favorite memory or leave a condolence message for the family.